Will KCR’s early election gamble pay off as Telangana goes to polls today? Over 2.8 crore voters will decide the fate of 1,821 candidates in 119 constituencies in the State. HYDERABAD: Battle lines are drawn for the Assembly elections in the youngest State which is going to polls on Friday. 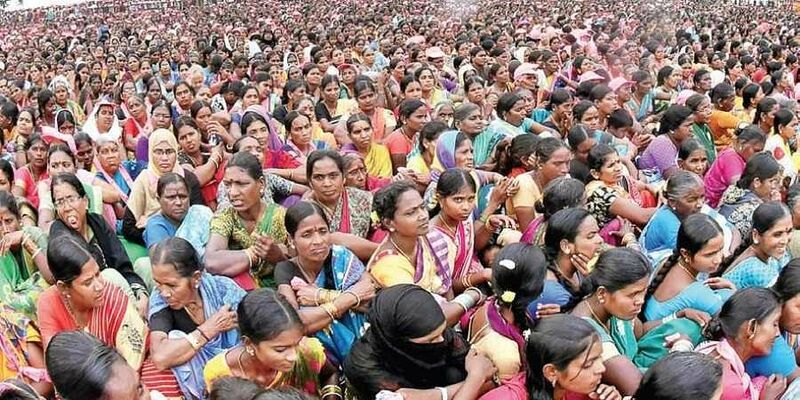 The first election in the separate Telangana State will decide whether the gamble of early poll by TRS chief K Chandrasekhar Rao will pay off or not. Whether the development plank of TRS will work wonders? Or the Congress-TDP led Praja Kutami, which is depending on the “anti-incumbency” factor, sweep the polls? Over 2.8 crore voters will decide the fate of 1,821 candidates in 119 constituencies in the State. People, however, have to wait till December 11 with bated breath to know which factor will win and who are the real winners and losers. This time the State witnessed fierce election campaign with even chief ministers of other states including Andhra Pradesh, Maharashtra, Madhya Pradesh, Uttar Pradesh and Pondicherry campaigning for their respective parties, while TRS chief Chandrasekhar Rao is the sole star campaigner for the TRS. UPA chairperson Sonia Gandhi too addressed a meeting, despite her ill-health. The BJP leaders, with an aim to see Congress-Mukt Bharat, pulled their weight this time. Prime Minister Narendra Modi and BJP president Amit Shah took Telangana elections as a prestigious issue to expand their base in South after Karnataka. On the other hand, the Congress-TDP combine which roped in anti-TRS forces like TJS and CPI under the umbrella of Grand Alliance and announced several sops to voters. Both AICC president Rahul Gandhi and AP Chief Minister N Chandrababu Naidu toured the state almost hand-in-hand. The elections also marked the beginning of new friendship between the Congress and TDP who have put behind their 37-year-old rivalry to join hands, giving rise to possible political realignment in future in the national politics.